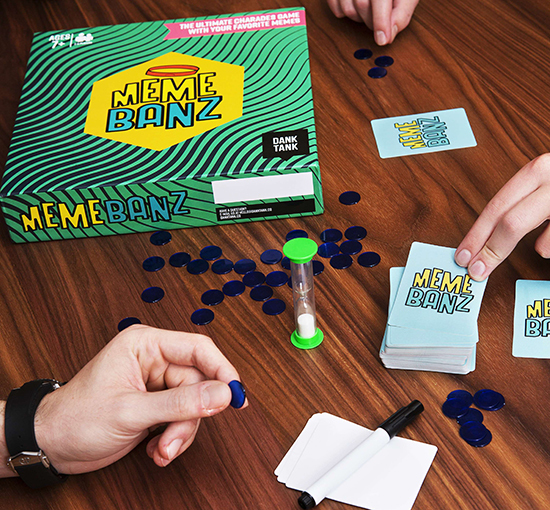 Memebanz is a meme powered adventure that’s inspired by two classical games, HedBanz and Charades. It includes some of the most iconic memes of Internet history, bringing them to life and opening you and your friends up to hours of fun. 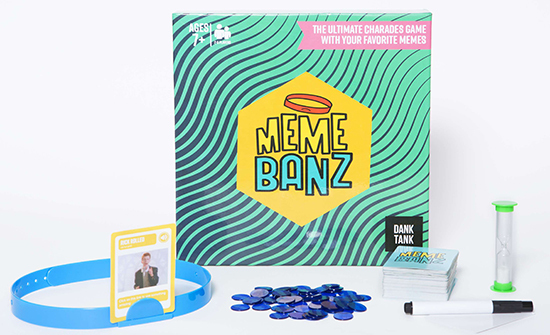 If you’re into memes, the Internet, or trolling, please help us make this game a reality. Everyone starts off with 5 chips. Just like the vanilla mode, you must pick a partner and have them act out your meme for you. If you correctly guess your meme, rather than collect your chips from the chip bank, you will steal them from other players. You may steal from as many players as you like. If you are rewarded three chips, you can steal one chip from three players, or you can steal all three chips from one player. You must give one of the chips you stole to your partner. Try, and we cannot stress this enough, try not to completely destroy your relations with other players. 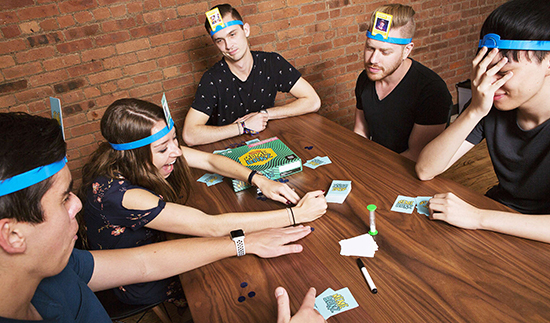 Every player starts the game with 6 cards and must pick a partner. Every player will try their best to guess all 6 cards in succession in the fastest time possible. No hints are allowed. If a meme is too difficult to guess, then every player can pass on that meme. However, every card a skips adds 1 minute to their end time. The player with the lowest time wins! Everyone starts off in similar fashion to the vanilla game mode, on your turn, the Meme Master grants you a cart. You pick the card, and instead of showing it to everyone, only you may see it. All other players will now go take turns asking you a yes or no question. After 3 rounds of questioning, all players must guess what the meme is. First player to 5 tokens wins! Each player starts off with 10 chips. On your turn, you must pick a partner to act out your meme. Your partner must place 1 chip into the “correct” pot. You must then place your card into the memeband for every player to clearly see. All players will then bet using their chips whether or not you will guess the meme correctly. Every player must at least bet one chip per game. The first player to 20 chips wins!